Having returned to his native Latin America, Francis has renewed his left-leaning critiques on the inequalities of capitalism, describing it as an underlying cause of global injustice, and a prime cause of climate change. Francis escalated that line last week when he made a historic apology for the crimes of the Roman Catholic Church during the period of Spanish colonialism — even as he called for a global movement against a “new colonialism” rooted in an inequitable economic order. The Argentine pope seemed to be asking for a social revolution. “This is not theology as usual; this is him shouting from the mountaintop,” said Stephen F. Schneck, the director of the Institute for Policy Research and Catholic studies at Catholic University of America in Washington. The last pope who so boldly placed himself at the center of the global moment was John Paul II, who during the 1980s pushed the church to confront what many saw as the challenge of that era, communism. John Paul II’s anti-Communist messaging dovetailed with the agenda of political conservatives eager for a tougher line against the Soviets and, in turn, aligned part of the church hierarchy with the political right. Francis has defined the economic challenge of this era as the failure of global capitalism to create fairness, equity and dignified livelihoods for the poor — a social and religious agenda that coincides with a resurgence of the leftist thinking marginalized in the days of John Paul II. Francis’ increasingly sharp critique comes as much of humanity has never been so wealthy or well fed — yet rising inequality and repeated financial crises have unsettled voters, policy makers and economists. Left-wing populism is surging in countries immersed in economic turmoil, such as Spain, and, most notably, Greece. But even in the United States, where the economy has rebounded, widespread concern about inequality and corporate power are propelling the rise of liberals like Senator Bernie Sanders of Vermont and Senator Elizabeth Warren of Massachusetts, who, in turn, have pushed the Democratic Party presidential front-runner, Hillary Rodham Clinton, to the left. Even some free-market champions are now reassessing the shortcomings of unfettered capitalism. George Soros, who made billions in the markets, and then spent a good part of it promoting the spread of free markets in Eastern Europe, now argues that the pendulum has swung too far the other way. Francis made his speech on Wednesday night, in Santa Cruz, Bolivia, before nearly 2,000 social activists, farmers, trash workers and neighborhood activists. Even as he meets regularly with heads of state, Francis has often said that change must come from the grass roots, whether from poor people or the community organizers who work with them. To Francis, the poor have earned knowledge that is useful and redeeming, even as a “throwaway culture” tosses them aside. He sees them as being at the front edge of economic and environmental crises around the world. 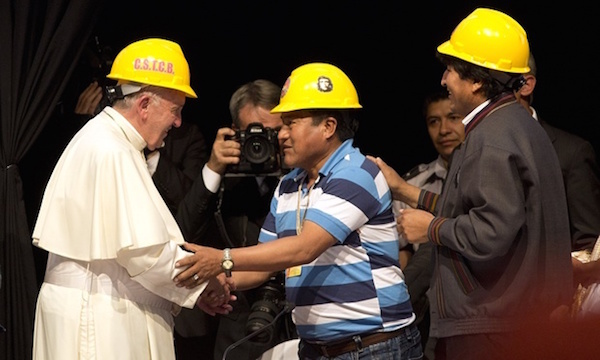 In Bolivia, Francis praised cooperatives and other localized organizations that he said provide productive economies for the poor. “How different this is than the situation that results when those left behind by the formal market are exploited like slaves!” he said on Wednesday night. It is this Old Testament-like rhetoric that some finding jarring, perhaps especially so in the United States, where Francis will visit in September. His environmental encyclical, “Laudato Si’,” released last month, drew loud criticism from some American conservatives and from others who found his language deeply pessimistic. His right-leaning critics also argued that he was overreaching and straying dangerously beyond religion — while condemning capitalism with too broad a brush. “I wish Francis would focus on positives, on how a free-market economy guided by an ethical framework, and the rule of law, can be a part of the solution for the poor — rather than just jumping from the reality of people’s misery to the analysis that a market economy is the problem,” said the Rev. Robert A. Sirico, president of the Acton Institute for the Study of Religion and Liberty, which advocates free-market economics. Francis’ sharpest critics have accused him of being a Marxist or a Latin American communist, even as he opposed communism during his time in Argentina. His tour last week of Latin America began in Ecuador and Bolivia, two countries with far-left governments. President Evo Morales of Bolivia, who wore a Che Guevara patch on his jacket during Francis’ speech, claimed the pope as a kindred spirit — even as Francis seemed startled when Mr. Morales gave him a wooden crucifix shaped like a hammer and sickle as a gift. Francis’ primary agenda last week was to begin renewing Catholicism in Latin America and repositioning it as the church of the poor. His apology for the church’s complicity in the colonialist era received an immediate roar from the crowd. In various parts of Latin America, the association between the church and economic power elites remains intact. 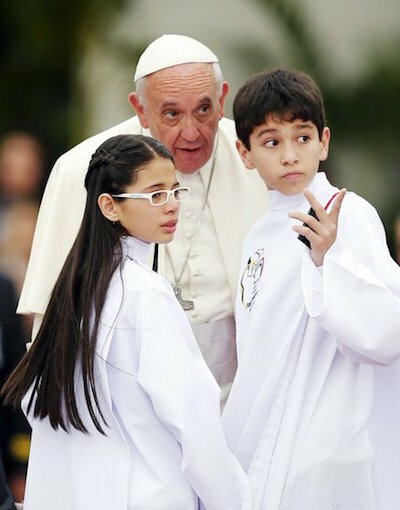 In Chile, a socially conservative country, some members of the country’s corporate elite are also members of Opus Dei, the traditionalist Catholic organization founded in Spain in 1928. Inevitably, Francis’ critique can be read as a broadside against Pax Americana, the period of capitalism regulated by global institutions created largely by the United States. But even pillars of that system are shifting. The World Bank, which long promoted economic growth as an end in itself, is now increasingly focused on the distribution of gains, after the Arab Spring revolts in some countries that the bank had held up as models. The latest generation of international trade agreements includes efforts to increase protections for workers and the environment. The French economist Thomas Piketty argued last year in a surprising best-seller, “Capital in the Twenty-First Century,” that rising wealth inequality is a natural result of free-market policies, a direct challenge to the conventional view that economic inequalities shrink over time. The controversial implication drawn by Mr. Piketty is that governments should raise taxes on the wealthy. Nick Hanauer, a Seattle venture capitalist, said he believed Francis was making a nuanced point about capitalism, embodied by his coinage of a “social mortgage” on accumulated wealth — a debt to the society that made its accumulation possible. Mr. Hanauer said that economic elites should embrace the need for change both for moral and pragmatic reasons. “I’m a believer in capitalism but it comes in as many flavors as pie, and we have a choice about the kind of capitalist system that we have,” said Mr. Hanauer, now an outspoken proponent of redistributive government policies like a higher minimum wage. Yet what remains unclear is whether Francis has a clear vision for a systemic alternative to the status quo that he and others criticize. “All these critiques point toward the incoherence of the simple idea of free market economics, but they don’t prescribe a remedy,” said Mr. Johnson, of the Institute for New Economic Thinking. Francis acknowledged as much, conceding on Wednesday that he had no new “recipe” to quickly change the world. Instead, he spoke about a “process of change” undertaken at the grass-roots level. “What can be done by those students, those young people, those activists, those missionaries who come to my neighborhood with the hearts full of hopes and dreams but without any real solution for my problems?” he asked. “A lot! They can do a lot. Jim Yardley reported from Asunción, and Binyamin Appelbaum from Washington. Laurie Goodstein contributed reporting from New York, and Simon Romero from Asunción. ABOARD THE PAPAL PLANE (Reuters) – Pope Francis acknowledged on Monday he had neglected problems of the middle class and said he was willing to have a dialogue with Americans who disagree with his criticism of capitalism. 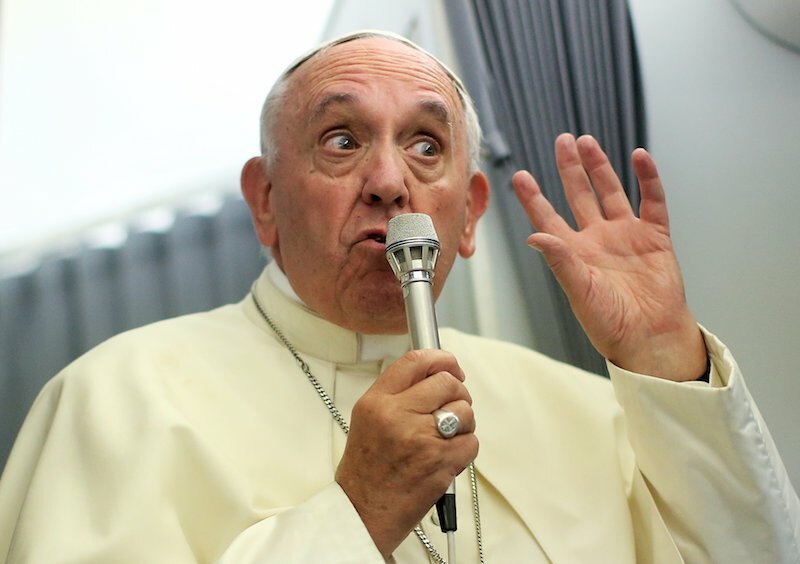 Francis, speaking to reporters on the papal plane returning from a grueling 8-day trip to Ecuador, Bolivia and Paraguay, also said he hoped the Greek crisis could lead to more oversight so other countries would not experience the same problems. During the hour-long conversation with the Francis, who has made defence of the poor a major plank of his papacy, a reporter asked why he had hardly ever spoken about the problems of the “working, tax-paying” middle class. He offered a rare papal mea culpa, thanking the reporter for his “good correction.” “You’re right. It’s an error of mine not to think about this,” he said. “The world is polarized. The middle class becomes smaller. The polarization between the rich and poor is big. This is true. And, perhaps this has led me to not take account of this (the problems of the middle class),” he said. Francis said he spoke about the poor often because they were so numerous but that ordinary working people had “great value.” “I think you’re telling me about something I need to do. I need to do delve further into this ….,” he said The pope, who is due to visit Cuba and the United States in September, said he was willing to have a dialogue with Americans who have seen his criticism of the global economic system and capitalism as an attack on their way of life. “I heard that there were some criticisms from the United States … I haven’t had time to study this well but every criticism must be received, studied and then dialogue must follow,” he said. He sought to downplay the Vatican’s part in the rapprochement between Cuba and the United States, even though both Presidents Barack Obama and Raul Castro have praised him for it. He said the Holy See had done “only small things” to facilitate the accord that led to the resumption of diplomatic relations after more than 50 years of enmity. Asked if Cuba now risked losing parts of its identity, he said both sides would lose something but “both will gain peace, encounter, friendship, collaboration.” He refused to be discuss Cuba’s human rights record, saying human rights were for all and that there were a number of countries, including several in Europe, where religious freedom was not totally respected. Asked about the Greek crisis, he said “it would be too simple to say that the fault is only on one side.” “I hope that they find a way to resolve the Greek problem and also a way to have oversight so that the same problem will not fall on other countries. This will help us move forward because this path of loans and debts, in the end, it never ends.” Francis said he “did not feel offended” when Bolivian President Evo Morales gave him a gift of a sculpture with the body of a crucified Jesus nailed to a hammer and sickle – the symbol of communism. The sculpture was a replica of a creation by Jesuit priest Luis Espial Camp, an artist and poet who was a strong defender of miners’ rights and was killed by a Bolivian right-wing paramilitary squad in 1980. Francis said the sculpture should be seen as “protest art” and a product of its times, when some Roman Catholic priests were involved in forms of Liberation Theology that used Marxist political analysis to help the poor. Francis said he brought the gift back to the Vatican with him. Several times during the freewheeling conversation that has become a standard of papal flights, he showed his humour despite signs of fatigue. “I never tasted coca (leaves), let’s be clear about that,” he said, when asked how he managed to keep up the demanding pace at age 78. There was speculation that he might have chewed coca leaves to ward off altitude sickness in Bolivia. He said he felt like “a great-grandfather” when young people asked to take selfies with him. “It’s another culture … I respect it,” he said. TORIT, Eastern Equatoria, South Sudan, Jul 10 2015 (IPS) – So extreme are gender inequalities in South Sudan that a young girl is three times more likely to die in pregnancy or childbirth than to reach the eighth grade – the last grade before high school – according to Plan International, one of the oldest and largest children’s development organisations in the world. 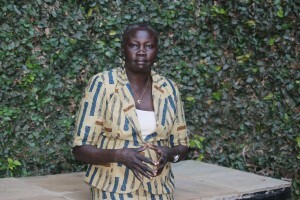 “When a person kills another person, the bereaved family expects to be given ‘blood money’ as compensation,” Dina Disan Olweny, Executive Director of the non-governmental Coalition of State Women’s and Youth Organisations, told IPS. ALTAMIRA, Brazil, Jul 10 2015 (IPS) – Small-scale fisherpersons were among the first forgotten victims of mega construction projects like the Belo Monte hydroelectric dam on the Xingú River in the Brazilian Amazon. “I’m a fisherman without a river, who dreams of traveling, who dreams of riding on a boat of hope. Three years ago it looked like my life was over; but I still dream of a new river,” said Elio Alves da Silva, referring to the disappearance of his village, the Comunidade Santo Antônio, the first to be removed to make way for the construction of the dam. Now, he lives on an isolated farm 75 km from his old village, and works in the construction industry “to keep hunger at bay.” He misses the river and its beaches, community life, the local church that was demolished, and playing football on the Santo Antônio pitch, which is now a parking lot for the staff on the Belo Monte construction site. His account of the eviction of 245 families from his rural village was heard by representatives of the office of the public prosecutor, the National Human Rights Council, the government, and different national universities, who met in June in Altamira to inspect Belo Monte’s impacts on communities along the Xingú River. 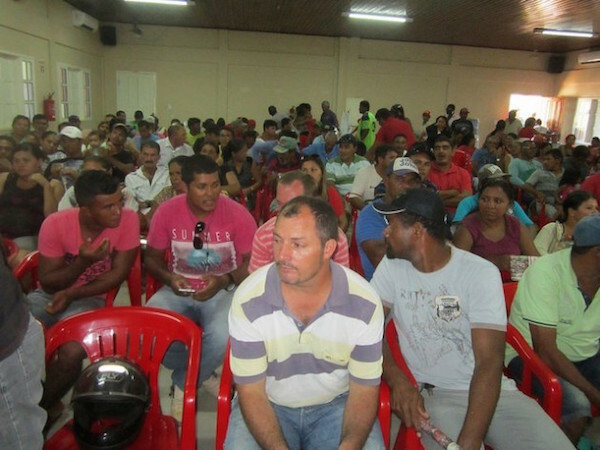 Altamira, a city of 140,000 people, is the biggest of the 11 municipalities in the northern state of Pará affected by the mega-project that got underway in 2011. “Riverbank communities, although they are an expression of a traditional way of life…were invisible in the Belo Monte tendering process and today are finding no solutions in that process that address their particular needs,” says the report containing conclusions from one of the 55 meetings held to assess impacts. LUPANE, Zimbabwe, Jun 3 2015 (IPS) – Seventy-seven-year-old Grace Ngwenya has an eye for detail. You will never catch her squinting as she effortlessly weaves ilala palm fronds into beautiful baskets. Her actions are swift and methodical as she twirls, straightens and tugs the long strands into a fine stitch. Periodically she pauses to dip the last three fingers of her right hand into a shallow tin of water that sits beside her, to wet the fibres and make them pliable. Slowly, under the deft motion of her hands, a basket takes shape. She insists on attention to “detail, neatness and creativity.” Once she has decided on the shape and colour of her product, she will work for seven days straight to complete the task. When she’s done, the basket will be inspected for quality, carefully packed up, and shipped off to its buyer who could be anywhere in the world from Germany to the United States. Her efforts earn her about 50 dollars a month – a small fortune in a place where women once counted it a blessing to earn even a few dollars in the course of several weeks. Ngwenya lives in Shabula village in Ward 15 of Zimbabwe’s arid Lupane District, located in the Matabeleland North Province that occupies the western-most region of the country, 170 km from the nearest city of Bulawayo. Home to about 90,000 people, this area is prone to droughts and has a harsh history of hunger. 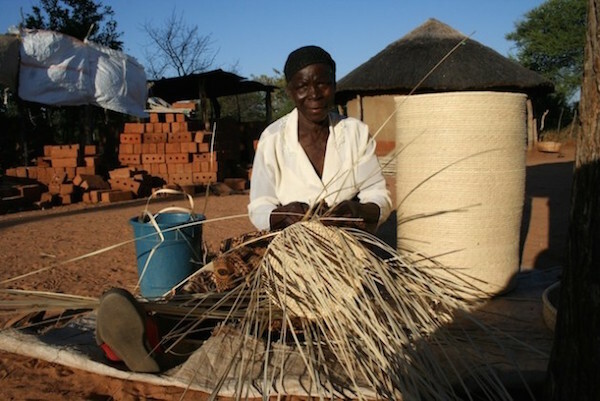 Today, rural women are putting Lupane District on the map with an innovative basket-weaving enterprise that is earning them a decent wage, preserving an indigenous skill and enabling them to erect a barrier against extreme weather events by investing the profits of their creativity into sustainable farming. The pontiff condemns the impoverishment of developing countries by the world economic order and apologised for the church’s treatment of native Americans. Pope Francis has urged the downtrodden to change the world economic order, denouncing a “new colonialism” by agencies that impose austerity programs and calling for the poor to have the “sacred rights” of labor, lodging and land. In one of the longest, most passionate and sweeping speeches of his pontificate, the Argentine-born pope used his visit to Bolivia to ask forgiveness for the sins committed by the Roman Catholic church in its treatment of native Americans during what he called the “so-called conquest of America”. The pontiff also demanded an immediate end to what he called the “genocide” of Christians taking place in the Middle East and beyond, describing it as a third world war. “Today we are dismayed to see how in the Middle East and elsewhere in the world many of our brothers and sisters are persecuted, tortured and killed for their faith in Jesus,” Pope Francis said. Quoting a fourth century bishop, he called the unfettered pursuit of money “the dung of the devil,” and said poor countries should not be reduced to being providers of raw material and cheap labour for developed countries. Street families will be pushed out of Nairobi city centre ahead of US President Barack Obama visit for the Global Entrepreneurship Summit. The move is expected to improve security and attract investors. Street families, which have taken over some parts of the city, have been blamed for attacks on motorists and pedestrians who pass near their dens. One of their hideouts is an open ground at the Global Cinema Roundabout, along Murang’a Road. Ms Oyake defended the ongoing beautification of the city ahead of the US leader’s visit, saying it was planned before Mr Obama confirmed the tour. The project, she said, is part of Nairobi Integrated Urban Development Master Plan that Governor Evans Kidero launched recently. 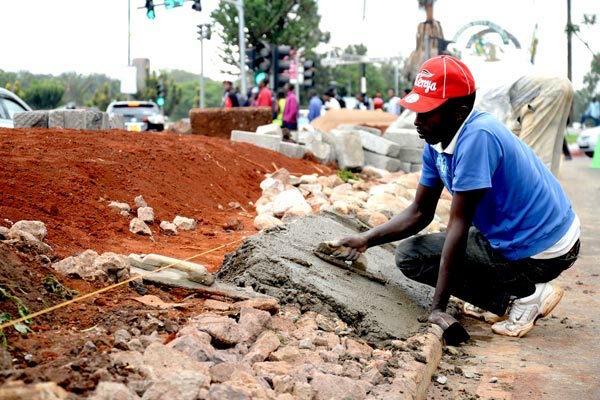 Ms Oyake said Mr Obama’s visit has only given them the impetus to start implementing the Sh40 million project by landscaping Uhuru Highway and Mombasa Road. The US president is expected to used the two roads after touching down for the summit that kicks off on July 24. At least 3,000 participants from all over the world are expected to attend the summit. Apart from the landscaping, City Hall is also painting pavements and planting flowers along major streets. The work is being done by hired youth who Ms Oyake said are getting an allowance of Sh500 per day.